Season 1. Episode 7 with Hayden Canizalez. Listen to the podcast. Don't forget to subscribe! Host: Welcome to Rethinking Football. My name is Dawn Brown and today we are talking with Hayden Canizalez who is a player for UP Plasencia in the Extremadura region in Spain. Welcome Hayden. Guest: Hello. Thank you for having me. Host: We just have a few questions for you today. Why don’t we start with you telling us a little bit about yourself. Guest: I was born in Nevada. I started late, I was a late bloomer. I started playing soccer when I was about 10 years old and by the time I was 11 or 12, I was lucky enough that my parents decided they wanted to help me get to the next level, and they started helping me get in to camps in Spain. From there I got picked up by a team to play, and I’ve been here ever since. Host: Why don’t you tell me a bit about the process, of the journey for you of going from the US to Spain, because I believe you first tried out for an Academy here in the US. Guest: Yes. The same year I had left for Spain, I had tried out for DC United. I made the tryouts and it was one of the options I had. During that time my family was going to move to DC so that I could have that opportunity. 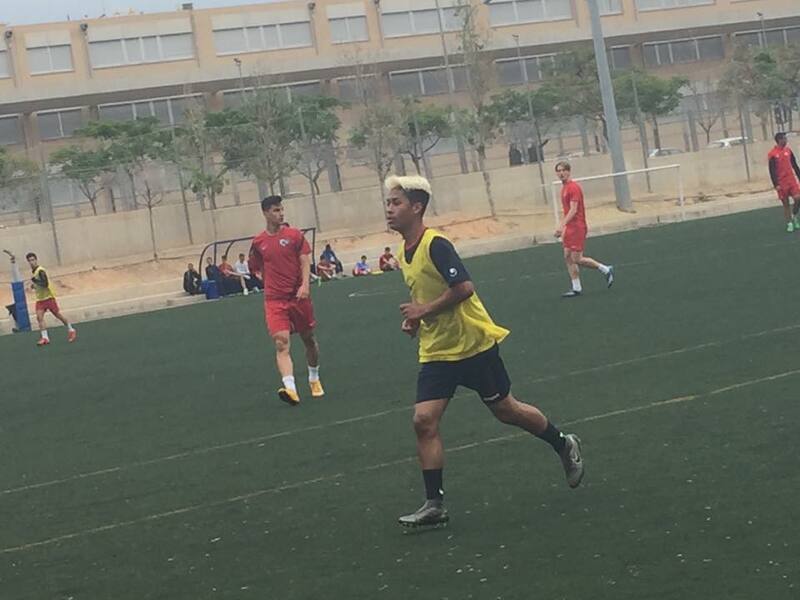 But luckily in the summer I also was spotted and went on tryouts with a team in Spain. I think the fact that I had already been there, playing with kids from there, gave me a little bit of a push and it was easier for me to make the team. That was the easy part. The easy part was making it. Host: So, what would you say were the differences between your tryout and your experience with DC United versus your tryout and experience in Spain? Guest: Well, when I went to DC, it was during the break for their season. There were just trainings and basically normal trainings, like anybody in the US would do. A little bit more intense, a little bit more competitive, a little faster. Their system of play is very similar to Ajax, very similar to that style of play. So, I guess it was a little bit more touching the ball than usual. And that was one of the things that my family and I were looking for in a team. A team that knew how to play football but well. And then when I went to Spain, that looked like kindergarten stuff compared to what they were doing (in Spain). Their rondos were more advanced. I had seen the U16s and U18s doing the rondos that we were doing when I was 13 during my tryouts in Spain, so it was a lot different, a lot faster. The area that I was in was Catalonia at that time. So, their style of football is a lot faster, a lot more touches, and it was a lot more physical. A lot of people would think that in the US style of play would be a lot more physical than in Europe. But it was a lot more physical, the players were stronger and faster, and you could see the difference. There was a pretty big difference. Host: I know that in Spain they have a promotion and relegation system, not only for the professional level teams but also for the youth teams and the academy. Can you talk about what influence that had on improving your level by being a participant in a program that that uses promotion and relegation? Guest: It makes the level in Spain a lot higher because it is a lot more competitive. Most teams that have a team in a national division, like a first team, like a senior team in a national division, usually strives to have their youth teams in the top tiers, and then have in the same age group, a B or a C team in the categories below the top one. So that they have a good pool of players to bring up and bring not only to the A team, for that youth division, but also the senior team. And it gives you a real sense of what you’re playing for. I mean, I’ve been in teams where we started off the season bad, and as a player you’re frustrated because you don’t want to go down a division. That isn’t anything you want to have happen. And I think it’s frustrating when you’re in that position. It makes you want to work harder and you want to get out there and actually do better. So, I think it makes the level a lot more competitive in that aspect. As in the difference in the US, I think it’s a lot more leisure. Which isn’t bad, but it isn’t good either. It doesn’t make you have to work harder. It doesn’t make you have to get better. So, there’s that aspect. As far as seniors’ level, since there’s no relegation either in MLS, you would think there would be more opportunities for young players, but unfortunately there isn’t. Not as many as there are in Spain, where you have teams competing in national divisions at the senior level for young players to go up and play with the senior team. So, all those little things make a difference competitively in the sport in Spain. Host: So, let me make sure that I understand this correctly. Are you saying that in the youth system, youth academies here in the US, the team can come in last place and then still be playing at the same level the following year? Is that correct? Host: Interesting. Let’s talk a little bit more about the later years in your academy experience. I believe that you went, and you moved on to Hercules. Is that right? Can you talk a little bit about your preseason with Hercules? Host: So you’ve been with UPP now for two seasons and they’re a third division team. Can you tell us about the transition from the academy level to professional while you’ve been at UPP? Guest: The deal we had with UP Plasencia, was that I was to play with the junior team. That I was to train with the senior team and I had to come from Hercules, having a season which I would say, I was standing out. I was physically very fit. Probably one of the most physically fit players on the team. And I felt really good, and really healthy, and really strong. 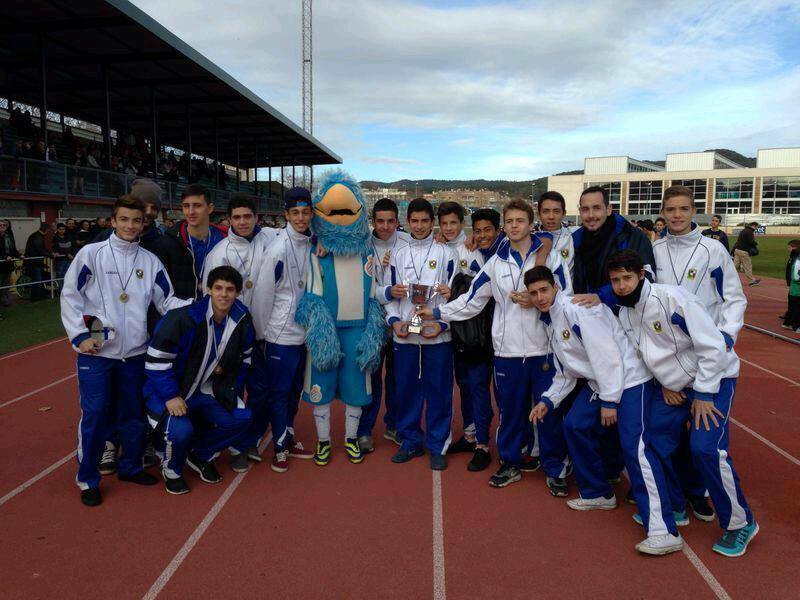 When I decided to go to UP Plasencia, the first training I had was with the senior team. I was pretty much training with them for the whole year. But the first day, I thought that a top-tier team in youth division would compete pretty well against a third division team, and I was very wrong. I wound up very fatigued and throwing up the first day. But it levels your head a little bit. But obviously, it’s a whole different game, a whole different game. You see youth players that will play in the top-tier division, and then they will go to the senior team and not make it because it’s too hard or it’s too strong. The pace of the game is a lot faster, it’s a lot quicker. Players are a lot stronger. It’s a whole different level because you’re playing against men. The difference between other academies and other teams you have in general, is that in Spain they also have their B teams and their C teams in relegation in the relegation and promotion system. So the U21s will not only face U21s, they will also face men. And the U23s will not only go against U23s, they will go against 30-year-olds, 28-year-olds, people who for their level are hitting their prime. This year has been a clear example of that. Last year the team was good, but it wasn’t as competitive. We were more focused on staying mid-table, trying to get into promotion. This year the campaign was set from the start that we wanted and probably will go up a division. You see that with the younger players. I mean I’m the youngest player on the team right now and the player that’s second to youngest is 19, and we look at each other sometimes on the field like “Oof!” This is really hard. These are people who came in just to win the division. Obviously, being a young player, it gives you the opportunity to learn from those people and to go and soak up as much as you can. Trying to get as much as possible from this. Try to make your way in the team. Everybody wants to be on the team, everybody wants to play, everybody wants to get that first level spot. So everyone is working as hard as they can to be part of the team and to be part of our later accomplishments, which will hopefully be promotion, and going up a division. 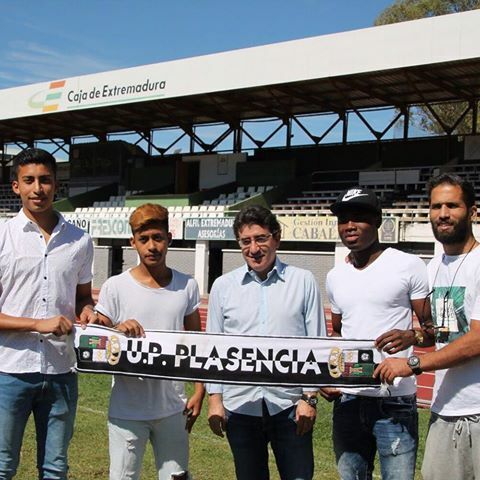 Host: Hayden let’s talk a bit more about your first year with UP Plasencia. Tell me about who you played with. What were some of the other players like? Where did they come from? Did they come from elite academies like you? Did they come from different backgrounds? Can you just talk a bit about the makeup of the team in the first year that you were there? Guest: Last year the team that I was competing with was a fairly young team. We still had a lot of players that were from Placencia, the original team. 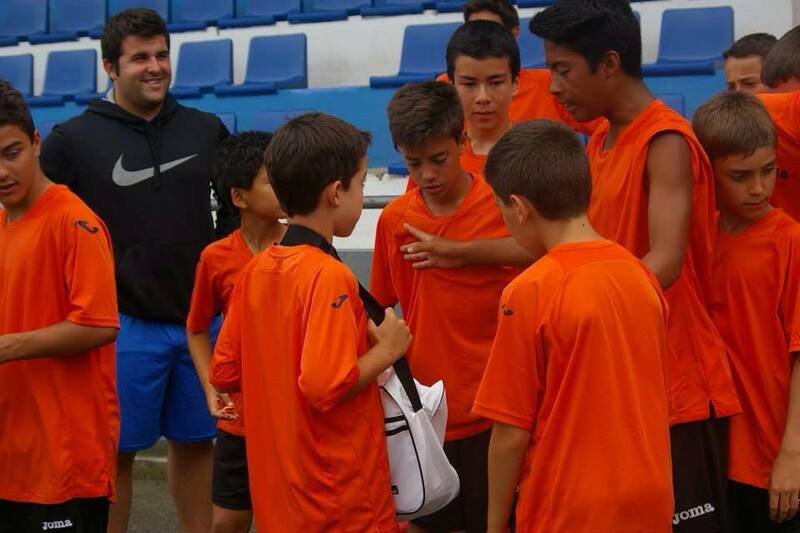 And a lot of players that came out from academies like Sevilla, Atlético Madrid, Córdoba, those types of academies. I remember when I started back, Alberto Muguruza had 40 sessions with the first team in Atletico Madrid, and his team had won everything that year, the year before for the juveniles, for champions league, that was the only one who had not won the youth champions league. 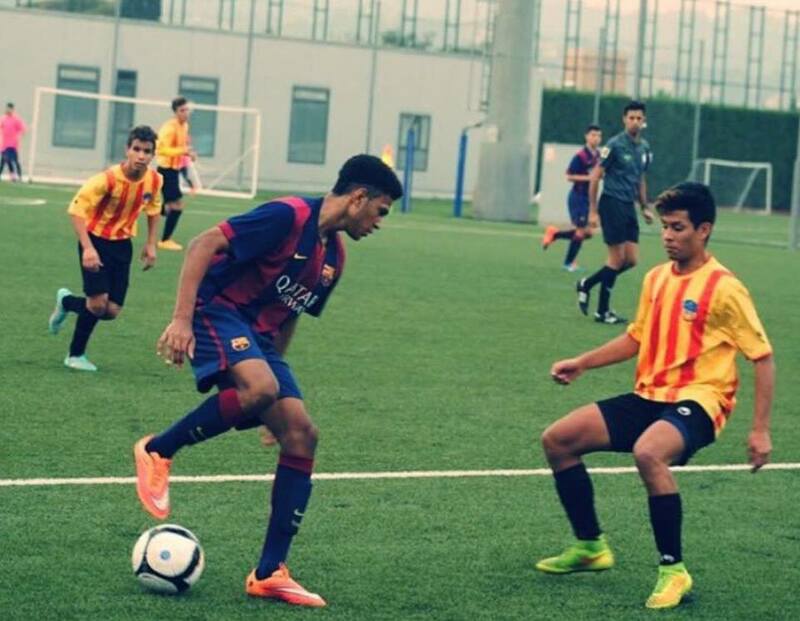 Players like Bugato, who is from Sevilla, and he was a midfielder who is actually playing in a division higher now. We had a teammate who had played with him who was also from Sevilla. Our forward was from Córdoba and he also had very good technical skills. Host: What about the players from Cadiz in the first year? Guest: We had a few players from Cadiz, we had a right back and a winger. They were really fast. We also had a player who left in the middle of the season, who plays UEFA qualifiers now, in Lincoln (City). And he was also from Cadiz. He was one of the jewels. They were very technical, very strong and very fast. All of them. Host: What about your roommate Nacho (Heras)? Where did he come from? Guest: Nacho also came from Atletico Madrid but he later on moved to Espanyol. He played Espanyol B under Pochettino’s regime. He debuted with the first team and was probably going to get a spot on the first team. But unfortunately, he got an injury that did not let him continue. In those times he was playing third division and a second B division, which a really high-level. You can tell for a fact that it is, considering that he went to play second division in Italy and now he’s playing first division in Iceland. That shows how you can break and fall, and how the difference in level is. Host: Right. That makes sense. let’s move on and talk a bit more about the plan for this year, and you mentioned earlier that the team has a different approach and a different goal for this year. So, can you talk a little bit more about what the plan is, and what has happened so far what with the implementation of the plan? Guest: From the start of the season, it was clear that we wanted to get into promotion, get into playoff standings in third division. It’s a national division, and then there’s playoffs to go up to second B. If you get into playoffs, then you go play one playoff game. If you get into second, third, fourth you have a series of playoff games you have to play in order to go up. From the start, it was clear that we were going to dominate with our style of play. We are still looking to get into first place, to try to secure that one playoff game that we have to play. It’s a 180-minute game. Hopefully we can get that. The mindset is a lot different from last year. Actually, the team is a lot more competitive, the players are a lot more competitive. You can tell there’s a lot more intensity, a little more aggression, because players want to get into that starting 11. It means a lot to move a team up a division, so a lot of players want to have that on their curriculum. The mindset is to try and get into first place, and if not then stay into playoffs and just play the games. Luckily, we have had a few tests throughout the year. We have progressed to quarterfinals, I think, through the Copa Federación, which is a mix of teams from around the country who are in tercera, top teams from tercera, who are in promotion, and second B teams. 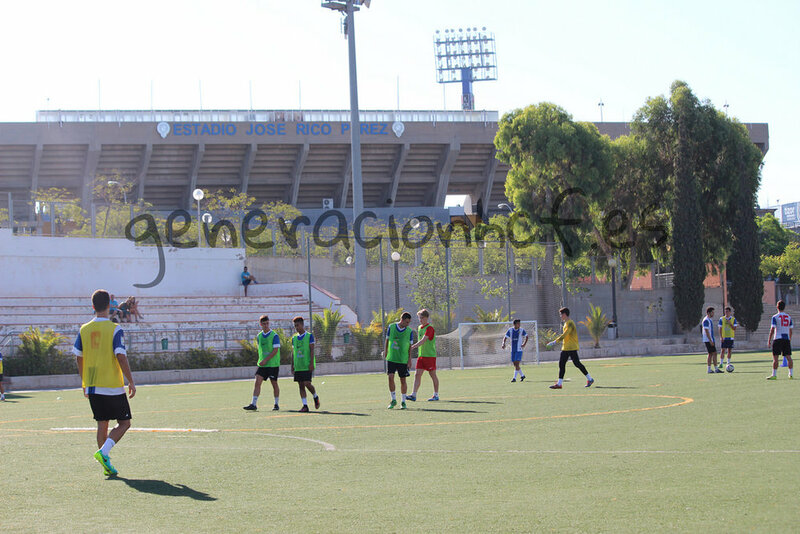 We have beaten some second B teams and tercera teams who are in promotion, so that was a good test for us. Unfortunately, we only made it to quarterfinals, we couldn’t get past quarterfinals. I think that will be a great test for us in the future. Host: Hayden tell me a little more about the experience of playing against second division B teams this year. What has that experience been like for you? Guest: We had played against a few second B teams, or teams that had second B squads like ours. There’s a difference between third division and second B, which is the fields are nicer, so the teams can play a little bit better. But you can ask anybody from here, they will say the same thing. What makes you a better player is third division and second B. Once you get to second division and first division, the game is a little bit more polished, a little bit nicer, they let you play a little bit more. In second B, it’s faster than third division, which means the players are a lot more aggressive, a lot more competitive, tackles are harder, players are a lot more strong, the game plays faster, A little bit more intense than in third division. We do have a second B squad. Most of the players that we have right now are from second B. It hasn’t really been much of a problem for us. Obviously, some games you win, some games you lose, but we have played really well, pretty much all of our games against second B teams. So that just shows the level of the team that we have. Host: Speaking in general terms Hayden, how difficult is it for an academy player to transition into either third division or even to a second division B team? Guest: Players who are a lot more physically fit usually can transfer pretty smoothly to 3rd division and second B, and even second division. But for a lot of players who are smaller, or a little bit stockier, whose style of play is a little bit more fluid, touching the ball a little bit more, it’s really hard. Saying from experience, because I am one of those players, but once you have the level of the technical stuff, it stays the same and the difference is really the physical part. And a lot of players can’t handle it. Host: So, are you saying that for some players that they don’t make the transition well, or they don’t make it at all because they’re not willing to put in the work that it takes to get to that level? Guest: Yes of course. Some players from top tier divisions can probably play at tercera or second B, but a lot of them don’t want to work for it. That’s what differentiates the players that are good and bad in these leagues. And the players that fall through the cracks are the ones who don’t work. At the end of the day, when you put in that work it does show. Host: If you want to stay on the path of professionalism you have to continue to put the work into it, is what you’re saying. Guest: Yes of course. You have to put in those hours. You have to put in that time on the ball and you just have to work through the suffer. Because a lot of it is suffering a little bit. A lot of it is pause moments, especially when you are a young player. A lot of it is training as hard as you can at the best as you can until you get that one moment, that one opportunity. And you have to be ready. You have to be ready for that opportunity because it may just pass you by. And really that’s what makes the difference between the good players and the bad players. Of course, those players like Messi who debuted in second B, who are just different from the start. And honestly you can’t really strive to be someone like that. You have to realize that it’s not that realistic. You have to work on the things that you have, the qualities that you have, that you bring to the table and really just polish them through your youth years. Get a little bit of other stuff. But really, it’s just pushing through that suffer. At the end of the day, putting in the work. Host: So beyond putting in the work, what are the other factors that help you transition successfully to professionalism? Like, how does diet and sleep factor into being successful? Guest: Honestly diet and sleep, and social factors in general will affect the player. Players who tend to have a more social life, don’t really make it either, even if they are really good. Just because anybody who wants to have a more normal teenage life, but at the end of the day you have to be a professional. You have to act like a professional, and you have to eat like a professional, and you have to sleep like a professional. You have to get in those hours of sleep so that your muscles can heal, grow. You need to eat well. You need to have that time to yourself. Honestly, being a professional player, you have to be selfish. I’ve learned that from experience. There are a lot of times when I wanted to go out with people, but that professional side has to be selfish and bring me to my feet and just say no. There’s a lot of times where maybe yes, I wanted to go home, but again that professional side of you says no you have to keep going, you have to keep suffering, you have to keep going through. Or just simply wanting to see your parents. I mean my parents aren’t with me now. Now I’m on my own. But obviously all those factors play through, but that professional side of you needs to pull through and get through the suffer. And that’s it. Host: Sure. Tell me about your future plans and helps with your career. Guest: Well luckily I’m still 19. I want to finish the season and see what we can do. Then I want to see what options I have. I will make the best decision I can make whether that’s staying on the team or having to go. Realistically I would like to be in a feeder team, something like a B team for a first division or second division team, or just go straight into second B. I do have options, which is good. I just need to make the best decision. I do want to try to get into first division or second division by 2023. Just because in Europe, being under 23 is important. Getting to this level when you’re under 23 is very good. And maybe think about my time in Spain, because maybe I’ll just go out of Spain because Spain is really good for development. Obviously you have to go where you shine, where you can get noticed and where you can be found. Spain is really good but there is a best talent, and a lot of players don’t take the opportunity to go outside of Spain. But I consider that an option. Those are my plans. Host: You mentioned some of your teammates have played for UEFA or other leagues. What are your hopes for that and your interest? Would you be interested in playing in other leagues or even looking at possibly paying for the US national team, given the changes that have happened in US soccer? What do you see is of interest to you right now? Guest: I think that when the time is right I will probably see if I can go outside of Spain, to see if I can go into second division or first division in a different country. And of course, looking at the national team does give me a smile because when you’re small, just in general, I think whatever the sport, whether it be boxing or tennis, basketball or anything like that, you dream of representing your country on the world level and in competition, or even in just a friendly. I would be ecstatic if the US national team would call me up. I think that would be a great opportunity to show what I’m capable of and hopefully make my country proud. The changes that are being made, whether it be playing younger players and such, is great. It’s something that’s surreal almost, if I were ever to be called up to the national team. I think that something that’s way in the back of my head, because I am more focused on getting up in the divisions and making a name for myself. If that opportunity were to arrive, there is no way I would decline that opportunity. Host: Just one more question Hayden. 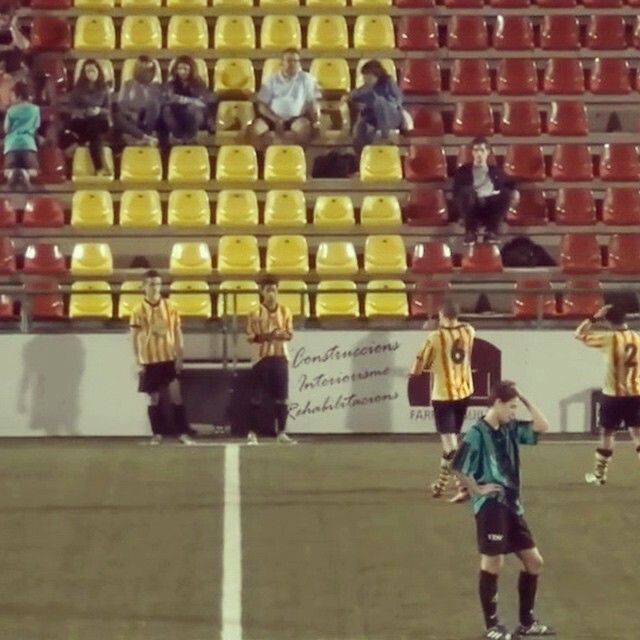 Are there a lot of Americans like you playing in Spain professionally? Can you tell me about who you know from the United States in Spain playing? Guest: I am aware of four, including me. There’s a kid in the Basque country, I’m not totally sure what team he’s playing for. I think he’s playing for a team in tercera or in first division in the regional. After him there’s Akale in Villareal on the C team. I had a teammate who had a chance to play against him, and he said he’s really good. I’ve seen videos of him and I think he’s a really talented player. And then there’s Shaqmore, who’s in Levante. I’m not sure if he is still with the D team. He may be on the bench with the A team now, which is really good. I know he debuted with the first team against Barca in the Copa del Rey, which is great. Congratulations to him. That’s really good. Akale and Shaq are older than me. I know that kid from Bilbao, the kid from the Basque Country, I am pretty sure we are the same age. And I know that he is playing for the national team. I know Akale has too. I know Shaqmore has too. But I am not totally sure why they have not been called up recently, just because I know in their divisions they’re doing really well. Host: Or maybe that is something else that’s coming for them and for you as well. I appreciate your time today Hayden. This has been really interesting to hear about your experience in Spain. Thank you so much for your time.